They Built London is a comprehensive history of the Worshipful Company of Tylers & Bricklayers. The book was researched and written by Dr Penelope Hunting and published in February 2016 to mark the 600th anniversary of the Company’s first recorded Master, Thomas White, in 1416, although records show that there was a Guild or Misterie representing the crafts well before that date. The Company’s first Charter was granted by Elizabeth I in 1568 and a City Ordinance of 1570 defined the Company’s area of control as being within a radius of 15 miles of the City of London. The Company initially flourished with bricks and tiles being used in place of timber and thatch. The Great Fire of 1666 led to a Royal Proclamation requiring the use of these more fire resistant materials. The rebuilding programme was beyond the capacity of Company members, craftsmen flocked to the City of London from elsewhere and the monopoly and power of the Company was broken. Succeeding years saw a continuing decline in the influence of the Company and its fortunes. The Livery Hall was retained until the end of the 19th century and almshouses in Islington until the second half of the 20th century. Despite these setbacks the Company has continued to thrive and plays an active part in support of the City and its institutions as well as its crafts. 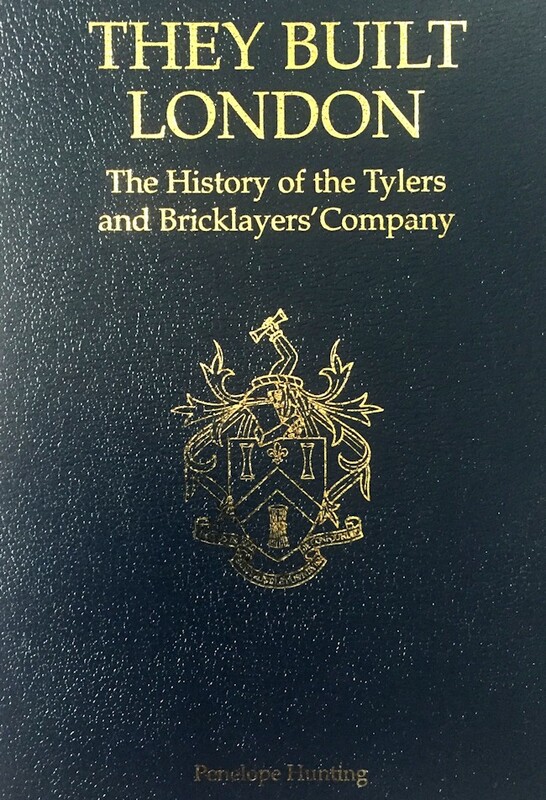 They Built London tells the story of the Tylers & Bricklayers Livery Company from its origins more than 600 years ago to the present day. Richly illustrated with more than 100 colour photographs, “They Built London” is a fascinating book for anyone interested in the evolution and role of a Livery Company playing a vital part in the development and life of the City. They Built London costs £50, and copies can be ordered from the Clerk of the Worshipful Company of Tylers and Bricklayers.